WHAT IS 4 YEAR OLD PRE-SCHOOL? Four year old pre-school, is a one year funded program for children in the year before they start school. It is subsidised by the State Government, which helps to cover the cost of running the program. A qualified pre-school Teacher delivers programs which have an emphasis on a play based approach to learning, to develop the individual child and build success for life. Children can play an active role in their own learning and the learning of others through our indoor and outdoor programs. Pre-school will help your child to develop language and learning skills, confidence and independence, physical and creative skills, a desire to learn and discover, and the ability to work co-operatively with other children and adults. Children are eligible to attend four-year-old pre-school if they turn four years old by April the 30th in the year of attendance. Parents of children born in the months of January through to April have the choice of which year to enrol their child. If your child will not be four years old at the start of his/her four-year-old pre-school year, you will need to think seriously about whether your child will be ready for pre-school. Children born in January, February, March or April are generally the most vulnerable to problems that result from starting pre-school and school too early. A second year of preschool funding is only approved for those children who have significant developmental delay. Many parents will ask what is the difference between a traditional preschool and an early education and care centre's kindergarten program. Children attend a traditional preschool for approximately 15 hours per week, which can usually be spread across 3 or 4 days. 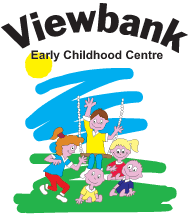 At Viewbank Early Childhood Centre children can spend up to 12 hours per day 5 days per week in care, and they have access to 40 hours per week in a pre-school program which is spread across 5 days. They are provided with a cooked lunch, and morning/afternoon tea and all the benefits of the long day education and care program. Children who have been at Viewbank Early Childhood Centre since early childhood have the opportunity to further develop friendships with children they are familiar with. Unlike traditional preschools, the children have a greater exposure over a longer period of time to develop social interaction with other children and educators. Accessing Viewbank Early Childhood Centre's Kindergarten Program will provide both parents and children with the best of both worlds. Your child/ren will have the opportunity to experience a traditional/sessional program within the early education environment, while still allowing parents to continue with full or part time work. This routine is used as a guide only. The routine is flexible and the day will be guided by the children in the group and their needs on a day to day basis.